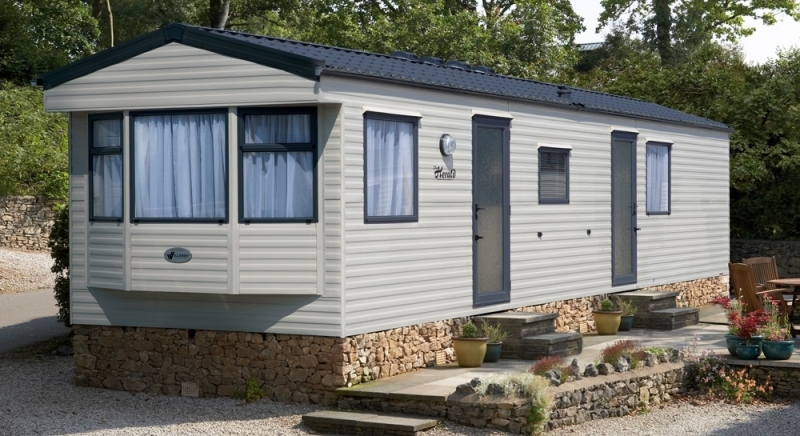 Monkey Tree Holiday Park offers seven styles of holiday home, all located on the beautiful sprawling 56 acre park near Perranporth, including this luxury static caravan. 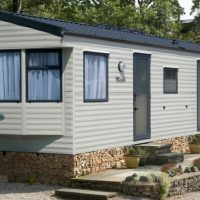 These self-catering holiday homes / static caravans, near Newquay in Cornwall are spacious, bright and airy. 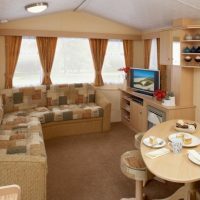 There is a roomy lounge with gas fire equipped with 20” TV with freeview and DVD player, it has an ‘L’ shaped seating area with gas fire and open plan dining to comfortably seat six people. 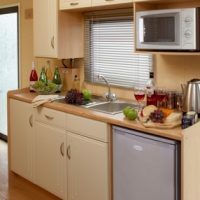 There is a well arranged kitchen with full size oven and hob, plenty of cupboards and workspace, under counter fridge, a range of kitchen equipment, utensils and microwave oven. 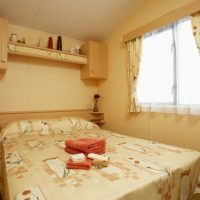 There are three bedrooms, 1 double and 2 twins all of which are tastefully furnished with plenty of storage space and bedroom heating. 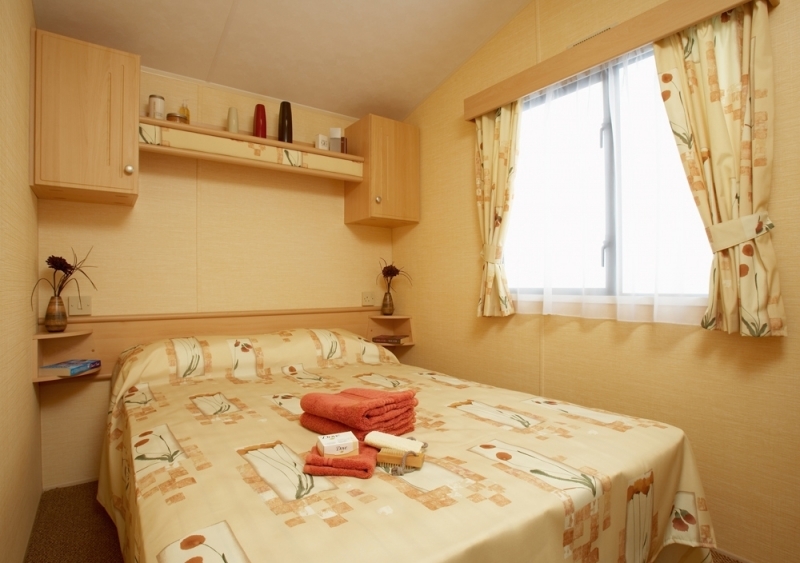 These holiday homes have a good sized shower room with wash basin and wc. The pullout sofa bed in the living area allows for accommodation for up to 8 guests. There is a private patio with outdoor dining furniture for eating alfresco or just relaxing. All guests staying in the Fistral will arrive to readymade beds and a Welcome Hamper. Please note: The floor plan and photographs are for guidance purposes only. 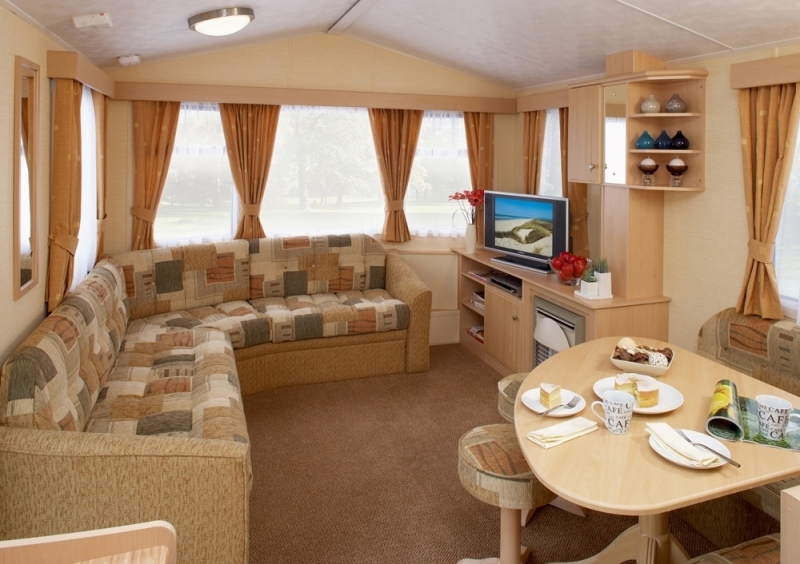 Layout arrangements may vary between our available caravans. We are currently moving to a new online booking system - if you experience any problems booking or getting a quote online, please give us a call on 01872 572 032.